Hannah @ Pt England School: Making lamingtons! 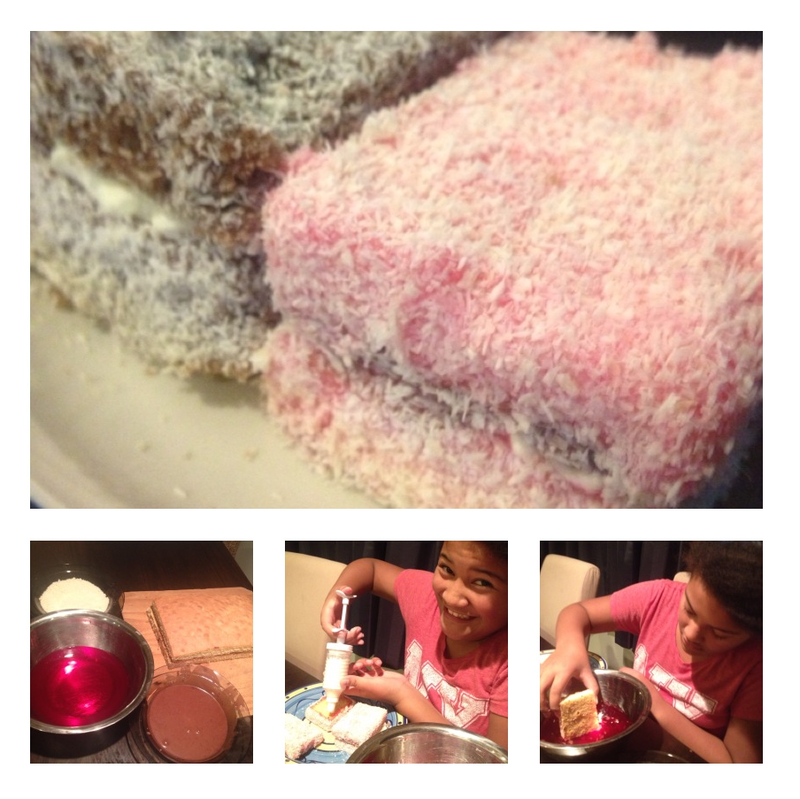 On Saturday night, I made yummy lamingtons at home. My mum and I were in charge of decorating while my dad made the sponge cake. The flavors were chocolate and boysenberry. We used coconut to coat the outside of the lamington and we used chocolate filling and cream in the centre. I made the boysenberry lamingtons and it was gooey because I had to dip it into boysenberry jelly. The first time I dipped the sponge cake into the boysenberry jelly I really struggled but when I tried the second time I got used to it. As soon as we finished making it we put it in the fridge to set for dessert. When we finished having dinner we pulled them out and they looked gorgeous and tasted delicious. Australians and New Zealanders argue over which country lamingtons come from. Till next time bloggers! This is Hannah T signing out. Those look delicious. Did you have fun making those lamingtions? I bet you did.